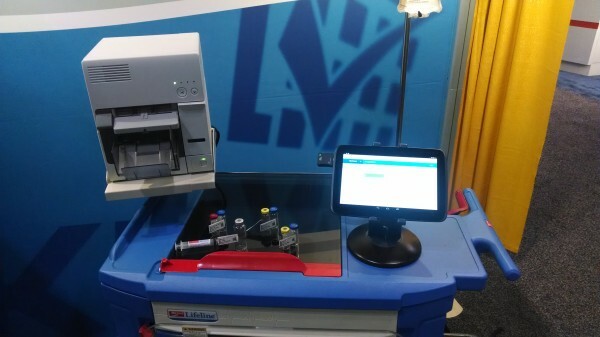 Got a chance to see the new Anesthesia Check system from KitCheck while at ASHP Midyear. 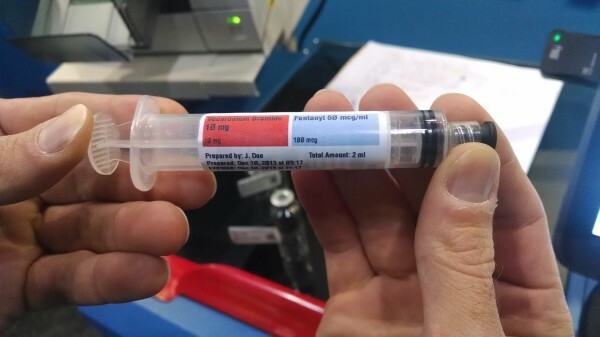 The system is designed using RFID and bar code technologies to provide safety for syringe labeling in the operating room (OR), as well as chain of custody and waste tracking for all medications used by anesthesia during surgery. The system uses color coding for anesthesia medications in addition to the bar code and RFID technologies mentioned above. I asked about the color coding for the syringes. The KitCheck representative answered me, but I don’t remember the information provided. I assume the label guidelines are those adopted by the United States, published by the American Society of Anesthesiologists in 2004 and reviewed in 2009. The guidelines are based on standards published by the American Society for Testing and Materials (ASTM) and the International Organizations for Standardization (ISO). They cover things like the size and characteristics of the label, color choice – like those of the Pantone scale – information contained in the label, and label placement. 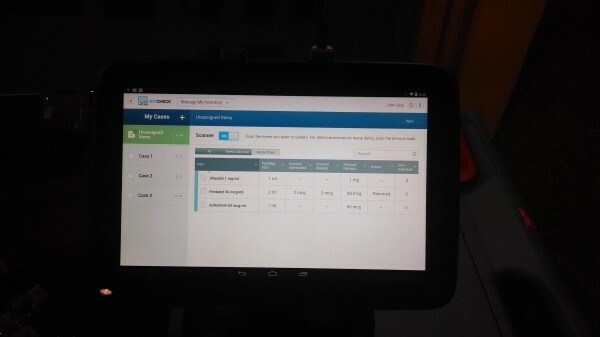 The system was pretty slick, consisting of an Android tablet (Nexus 10), a color label printer for printing on RFID tags, and a small RFID reader that is attached to the tablet. The user interface was clean and simple, which I found refreshing. The product development team gets bonus points from me for using a Nexus 10. I snapped some quick photos which can be found below. PRWeb: “[December 9, 2013) – Kit Check™ today announced the launch of Anesthesia Check™ (http://anesthesiacheck.com), a new cloud-hosted software tool to manage and track medications in the operating room (OR). Anesthesia Check brings benefits to hospital pharmacists, anesthesiologists and CRNAs.